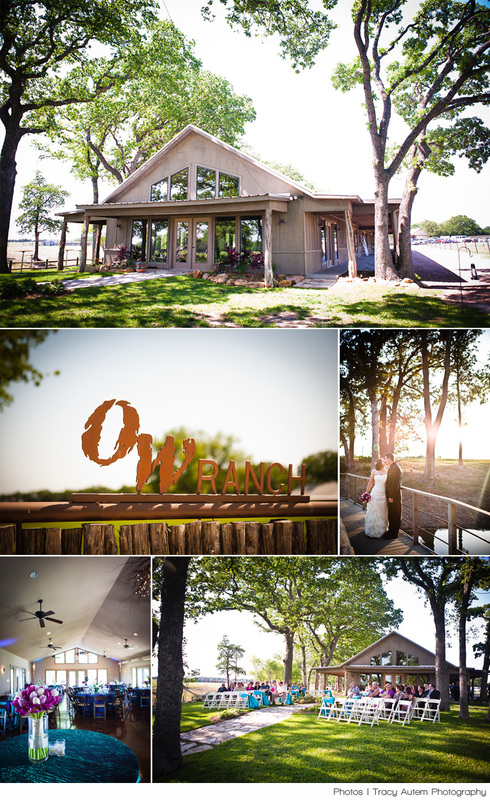 OW Ranch, located in Granbury, Texas, is a wedding venue unlike any other! The site offers indoor and outdoor facilities, so you can dance under the starry night sky or enjoy their indoor Pavilion beautifully designed with 3600 square feet on the open floor. The Pavilion overlooks an oak tree-lined lake and its French style doors open up to encourage festivities to move outside. The gorgeous landscaping adds the perfect finishing touch and their new outdoor dance floor area makes the perfect place for you and your guests to dance the night away under the beautiful Texas sky. Located just 30 minutes southwest of the DFW metroplex, be sure to check out this rustic getaway! Enjoy!